This a nice 1965 Road Race/TT machine built for another shop such as Wilsons who kept the original frame number but used their own livery. This has occurred on at least two other frames we know. His agents would be expected to have a full MN number on their orders. The frame was refinished at Durban Road post 1970. It has some interesting features in the build and the refinish. Otherwise it fits closest onto the Italia category with plain long Prugnat lugs. 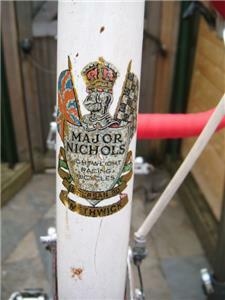 The punch marks are on the base of the bottom bracket away from the normal location for MN badged machines. A typical Road Race/TT of the period. Plain undrilled Prugnat long spearpoint lugs. It would be nice to know the geometry of this frame. 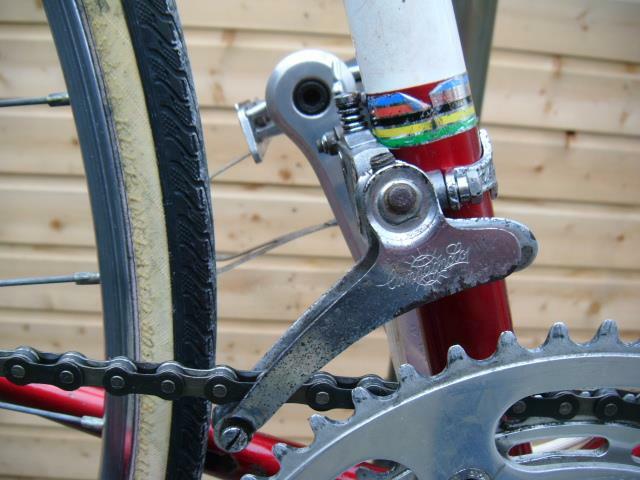 The seat lug is unusual in having an Allen key seat clamp. I need to establish when these were available because of the refinish. The full wrapover seatstay unusually is undecorated. 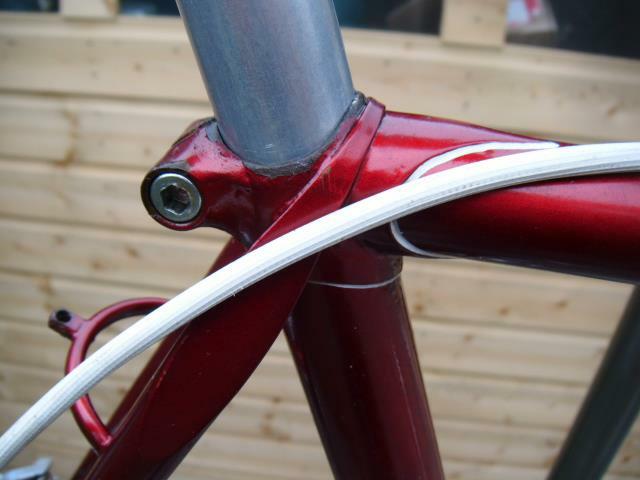 The reinforced seat stay and centrepull brake bridges are curved. The chainstay bridge is straight. 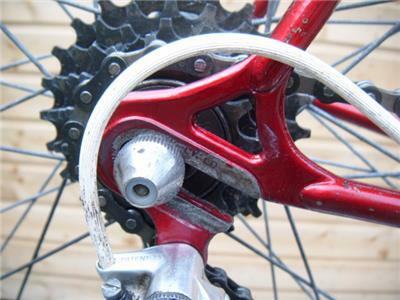 The dropouts look like Campagnolo. 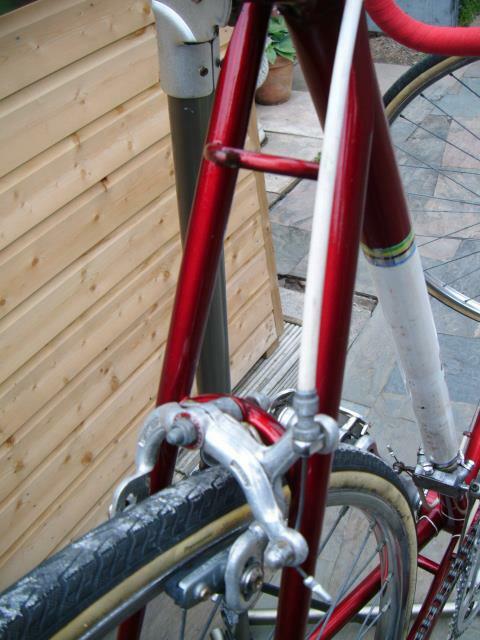 Typical of the period, brazeons are sparse, limited to rear derailleur cable stops and a front derailleur cable stop on the nearside down tube of which there is no photo. 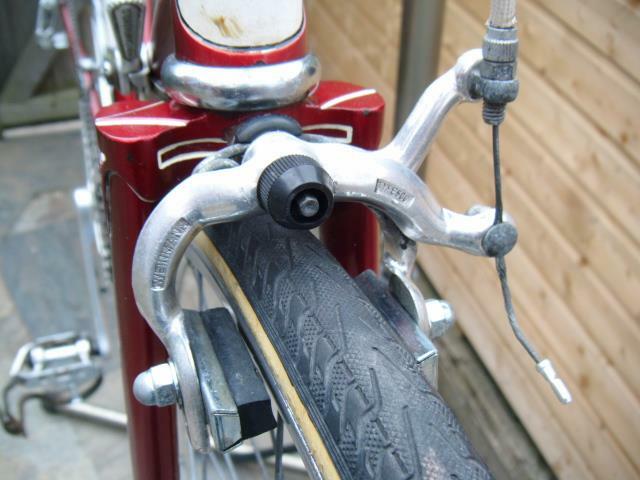 This system of build gave options for choice of down tube or bar end shifters. The fork crown is a favourite, Vagner12+ losenge fraise’ + faussee saiguee. The finish is a classic Major in his favourite Ruby Red Flamboyant with three panels in ivory on head seat and down tubes. 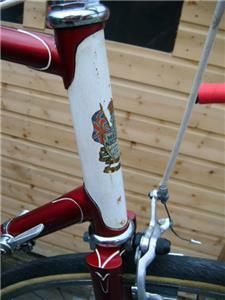 The usual head and seat tube Durban Road transfers and the downtube gothic script name in the less common red with black outline capitals. 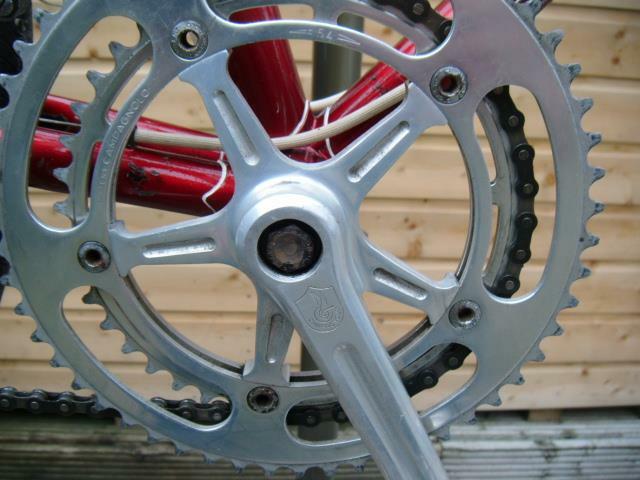 The condition is reasonable for a well used bike and does not need more than some careful TLC. A typical club /training set up with nice Nuovo Record chainset and a Gran Sport ‘Matchbox’ front changer. Band on Campagnolo gear Levers. brooks saddle on a nice Campagnolo seat post. The Cinelli bars and stem are later. The brake set are Weinmann sidepulls which were light, 600 model possibly but the image is insufficiently sharp to determine. 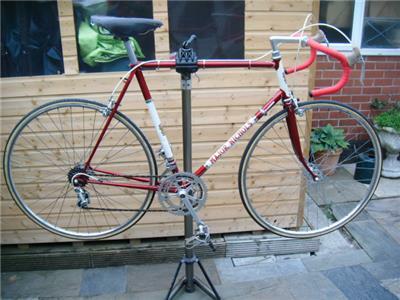 A reasonable set of touring wheels with L/F Pelissier hubs on Birmalux rims.